Engine oil is the blood of any vehicle. When your engine is turned on and running, there are several metal components moving inside it. Some of these components rub against each other and create a lot of friction. This friction generates heat which could be disastrous for the engine, except for the fact that oil is there to lubricate these components and keep them cooled down. That is why engines do not overheat as they are running because oil flows through its components at a consistent rate. There are several types of engine oils available for a vehicle’s engine. The three main types are conventional oil, synthetic blended oil, and full synthetic oil. This is often quite confusing to people because they tend to think that all engine oils are the same. But there are benefits to using one type of engine oil versus another in your vehicle’s engine. If you look at the owner’s manual of your vehicle, you will learn which type of oil is recommended by the manufacturer. However, they don’t often consider the temperature or environmental conditions of your geographical location. These factors can influence whether you go with the manufacturer’s recommendation or choose another oil which better serves your engine in the location it is in. For most people, choosing a particular engine oil will come down to price and quality. Since oils are not overly expensive, it doesn’t take much for people to purchase the best type of oil. But some people who are short on money may care about going with the cheapest options. Let’s explore the pros and cons of conventional oil, synthetic blends, and full synthetic. Conventional oil is the classic type of oil. It has not been synthesized in any way like the full synthetic or blended synthetic oils. Instead, it is derived from pure crude oil which comes from the ground. As a lubricant for the engine, conventional oil has many heat resistant properties. It keeps the engine stable and reliable for many years of its use. If you own an older vehicle, then its engine will probably work better with conventional oil that is not synthetic in any way. Either way, conventional oil requires you to change it a lot more frequently than synthetic oils. Most auto experts will recommend that you change conventional oil every 3,000 miles or every 3 months, whichever comes first. All the heat and debris take a bigger toll on the health of this oil. It is not as resistant to these elements as the synthetic oils are. Of course, conventional oil is also a lot cheaper too. So, if you are on a very tight budget, then you might prefer conventional oil. The synthetic blend can best be described as a hybrid of crude oil and synthetic oil. If you want to save money by not purchasing full synthetic while still receiving some of the benefits of synthetic oil, then you will want the synthetic blend option. Actually, it has many of the same benefits as full synthetic. Your engine’s longevity will be increased more if using synthetic blend oil instead of regular conventional oil. Synthetic blend also does a better job of lubricating and cooling the hot components of your engine. Therefore, if you want an oil that is a step up from conventional oil and more affordable than full synthetic, then choose the synthetic blend. You can expect to change this oil every 3,000 to 5,000 miles, depending on the make and model of your vehicle. When you go with the full synthetic oil option, you are purchasing oil that is 100% synthetic. In other words, it was completely formulated and manufactured by people. This makes it the opposite of conventional oil which is derived from fossil fuels. The benefit here is that you don’t have any hydrocarbons or organic matter in the full synthetic oil as you do in the conventional oil. As a result, full synthetic is the most beneficial to the environment. But that is just the beginning of why it is so great. 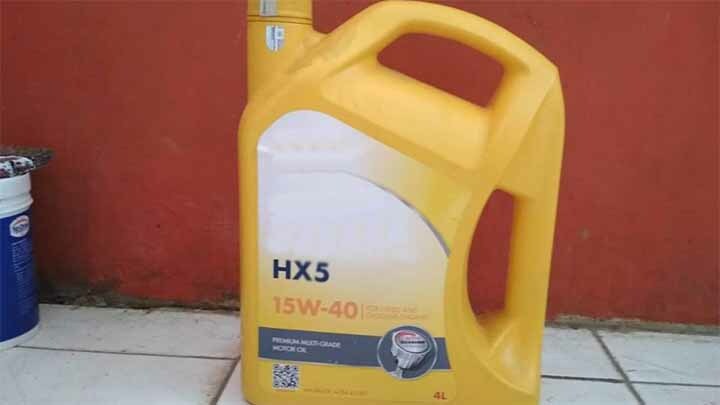 Full synthetic oil is the best performing engine oil period. It is formulated to be a superior lubricant for engines in order to cool them down faster. In fact, a lot of vehicle manufacturers who recommend full synthetic oil will tell you to get oil changes every 5,000 to 10,000 miles. This certainly beats the 3,000 miles recommended for conventional oils. Full synthetic is designed to be more durable and resistant to heat, which is why it lasts for so much longer. Newer engines are made to be high-performance engines. They are made this way because more demand is put on engines these days. Just think about all the accessories and electrical components in modern vehicles. They depend on a properly running engine to sustain their functionality. As a result, these engines require stronger oils which do a better job of lubricating and cooling them down. Synthetic oils are formulated for this very purpose. Conventional oils will not be able to cool down high-performance engines like synthetic oils can. Because of this, you should always choose a synthetic oil option. The question is, do you choose synthetic blend or fully synthetic? Well, the choice really comes down to your budget. A bottle of conventional oil will cost about $40 on average while the cost of a full synthetic oil bottle is about $70. This might not seem like any big deal, but some people with tight budgets will count every dollar very closely. This $30 difference could determine whether they choose one over the other. But if you can afford it, choose the full synthetic option because it does the best job of cooling and lubricating the engine.